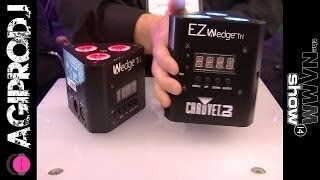 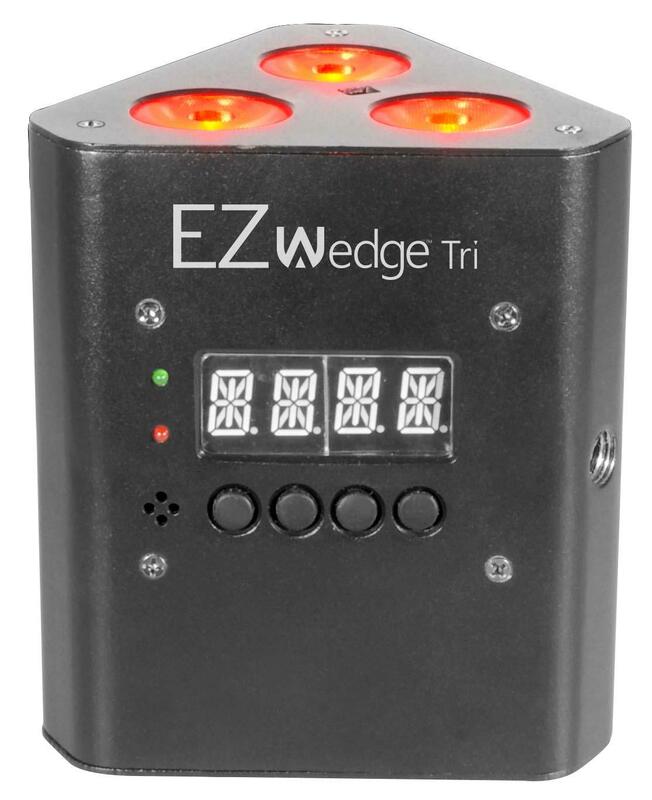 The Chauvet EZWedge Tri is a battery-operated, tri-color LED wash light fits perfectly inside TRUSST Goal Post and Arch Kit truss systems. 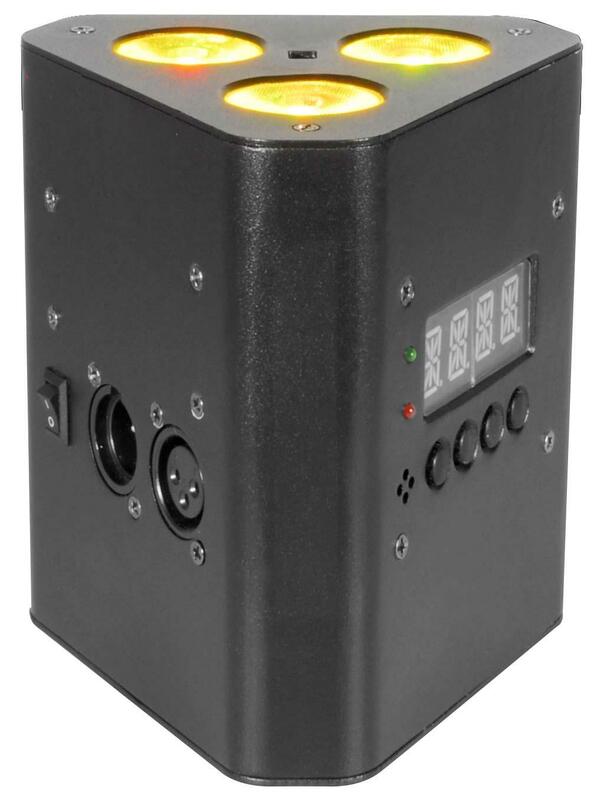 The rechargeable, lithium battery lasts up to 20 hours from a single charge, and you can easily check the battery status with the built-in battery life indicator. 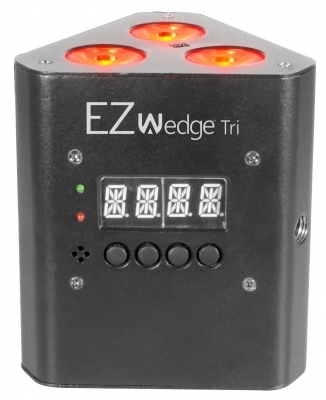 The EZwedge™ Tri attaches to 35-mm truss without the need for a bracket, using M10 or M12 threaded rig points. 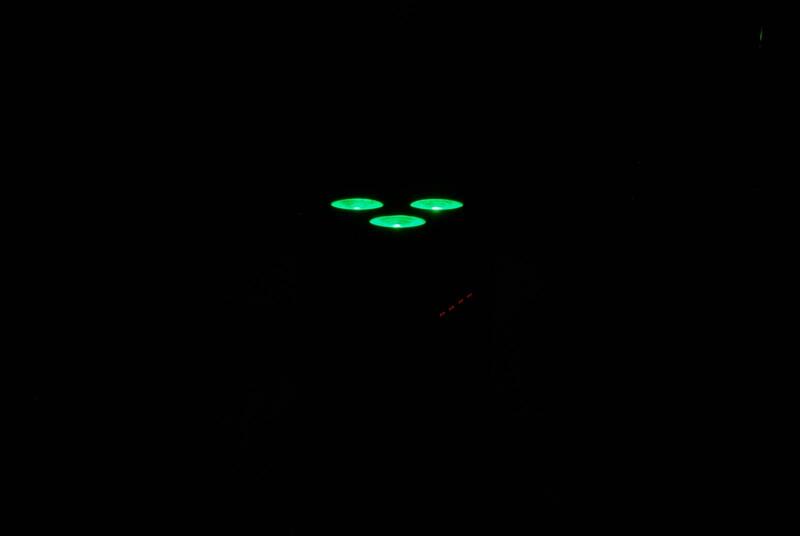 Its flicker-free operation is suitable for on-camera use and it provides smooth dimming with built-in dimming curves. 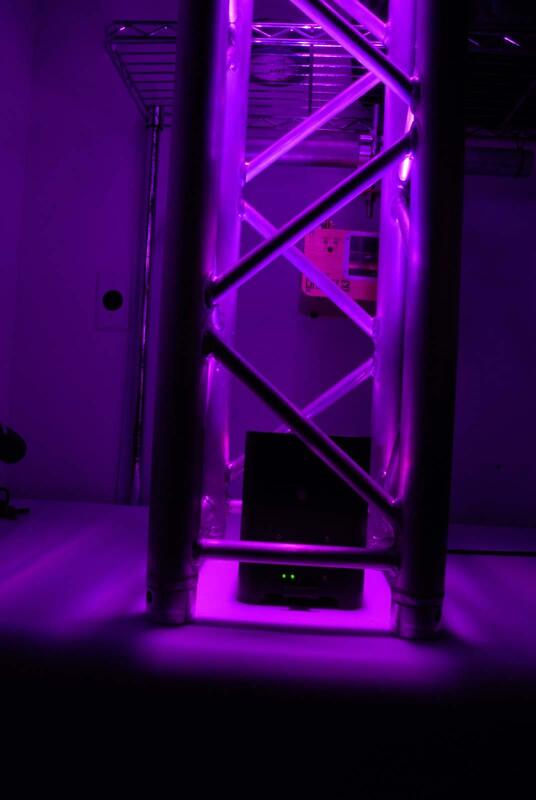 Easily control static colors and automated programs with the included IRC-6 remote, or create any color without DMX by using the built-in digital display and build coordinated light shows by linking other tri-color LED fixtures in Master/Slave mode.